Your big day deserves all the romantic details you’ve ever imagined! Without any doubt, the table centerpieces play an important role in the wedding decorations, and the fun part is that you have so many ideas to choose from. In this article, we’ve picked ten really romantic table centerpieces and all of them represent different styles. Flowers play an important role in almost all of these centerpieces, and we’re curious to know which of these is going to be your favorite! 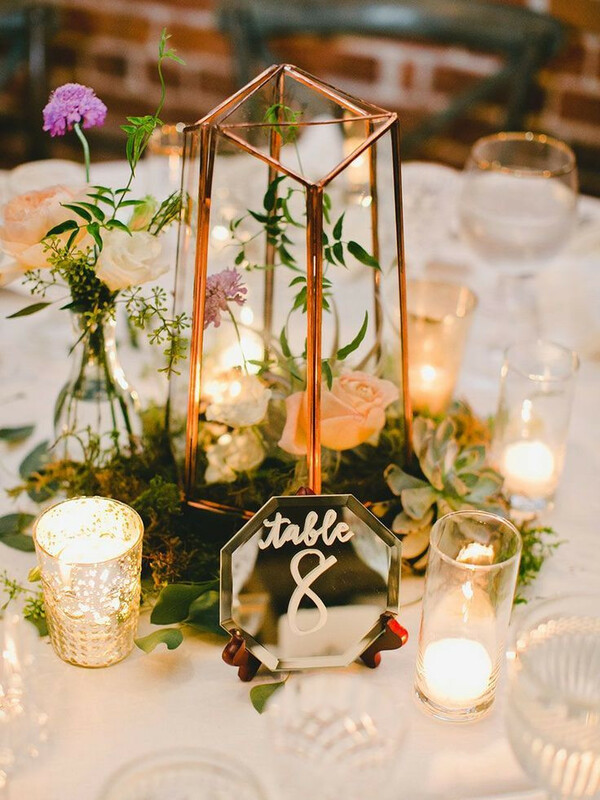 We’ve all seen how geometry is more and more present in everyday home design, but have you ever considered using it as your inspiration for a wedding centerpiece? 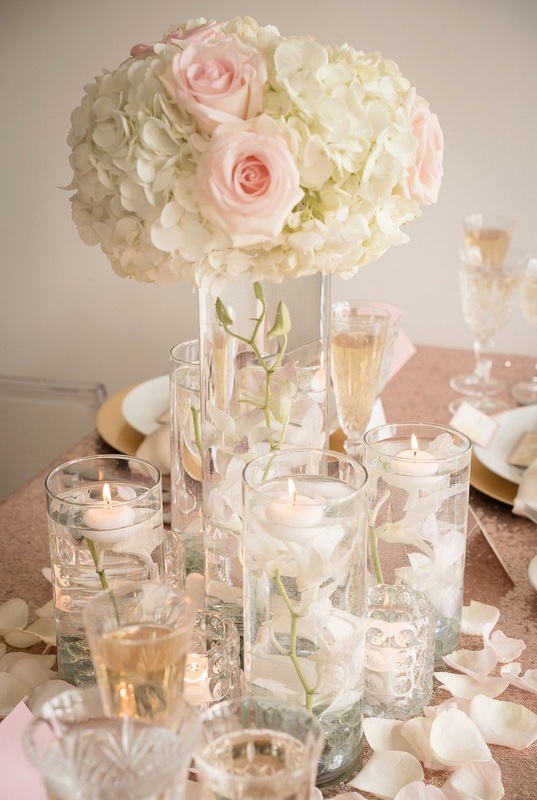 At first, there is a chance that you won’t see it as something romantic enough for a wedding, but if you use the right piece of decoration, you definitely have a wonderful centerpiece. 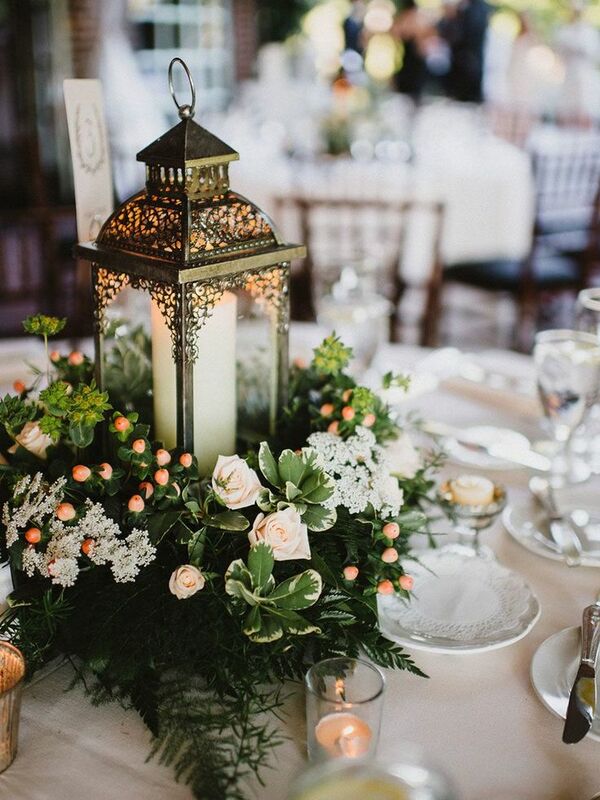 There’s really something so romantic about lanterns, especially if they are vintage! It gives away such wonderful, loving vibes and we simply can’t help but fall in love with this centerpiece. The greenery and the tiny flowers perfectly fit this decoration. Roses and baby’s breath is an amazing wedding flower combination, but even if you decide to choose other, the result will be great. Let’s admit it – the candles are masters at making romantic atmosphere! 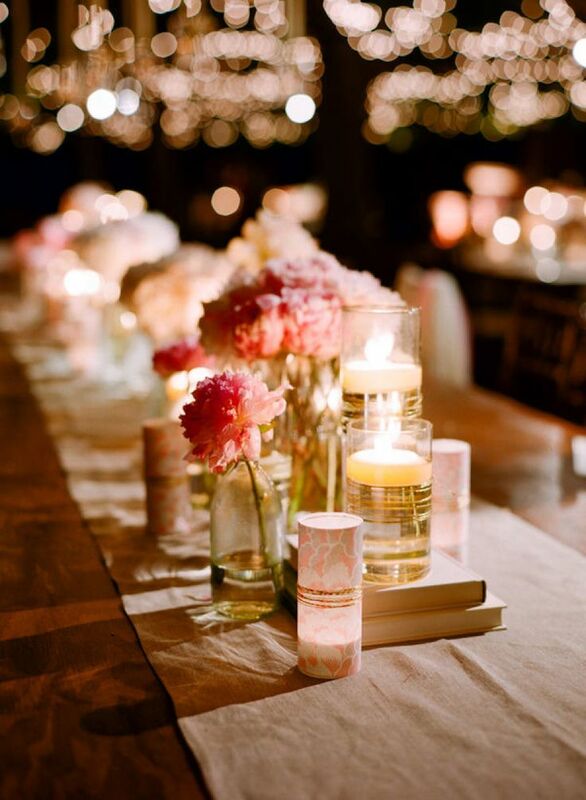 Using few of them as your wedding centerpiece is definitely one of the best ideas. Not only they are a budget-friendly option, but the candles will also create you such a warm and lovely atmosphere at each corner of the wedding hall! If you feel like you want to add something more to the table, how about small rocks? Considering the fact that roses are considered the flowers of love, using plenty of them at your wedding is going to be such a wonderful idea. Adding bouquets of roses at the table as centerpieces looks absolutely amazing! If you want to add a pop of color, you can go for roses in different shades of pink. But, white roses will do just as well too! We’re back at the lanterns – there are so many nice ideas so we decided to show you another one. This time it is more in the spirit of rustic, which makes it a perfect centerpiece for those of you who wish to have a rustic-themed wedding. Including rose petals, baby’s breath and candles surrounding the lanterns will create the wedding atmosphere you’ve been dreaming about! 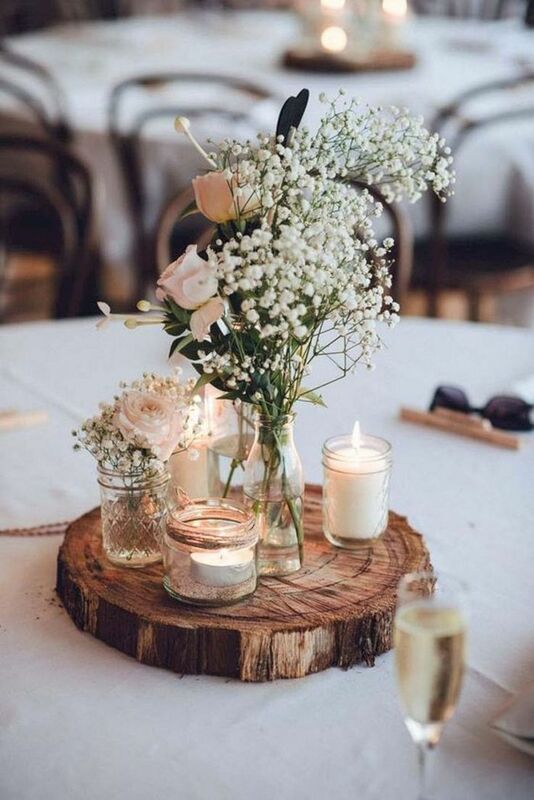 Baby’s breath is one of the most delicate flowers you can get for your wedding. It’s so pure and adorable! 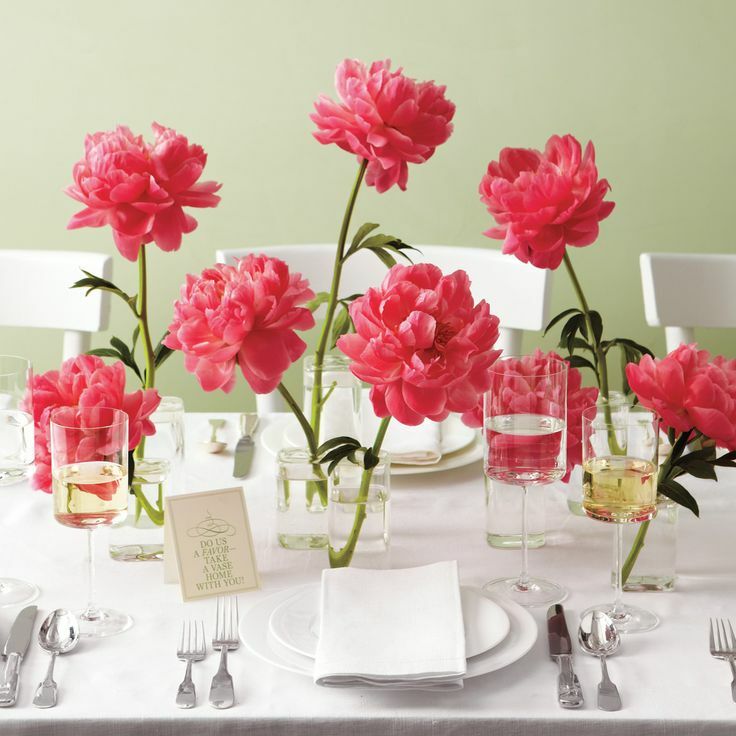 If you really love this flower, then making it the focus of the table centerpieces is going to be such an amazing idea. Place it in a jar, surround it with petals and wood decor to make things even lovelier. 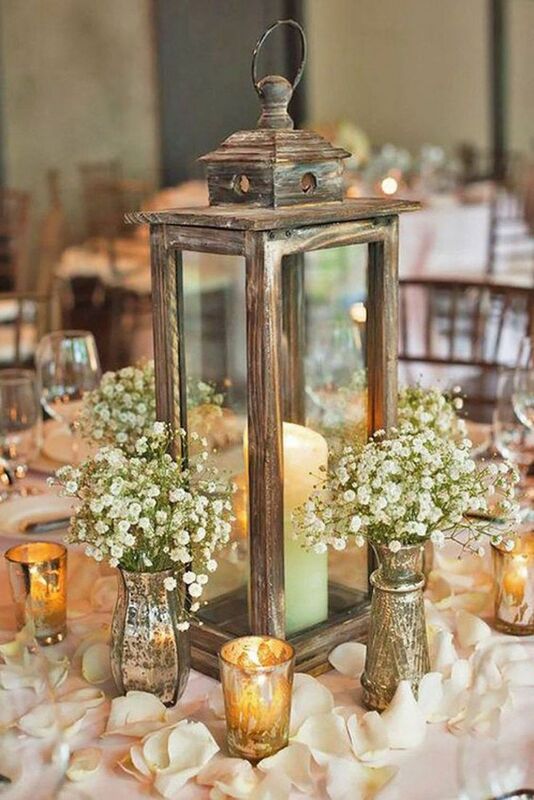 This is very simple, but very beautiful wedding centerpiece. 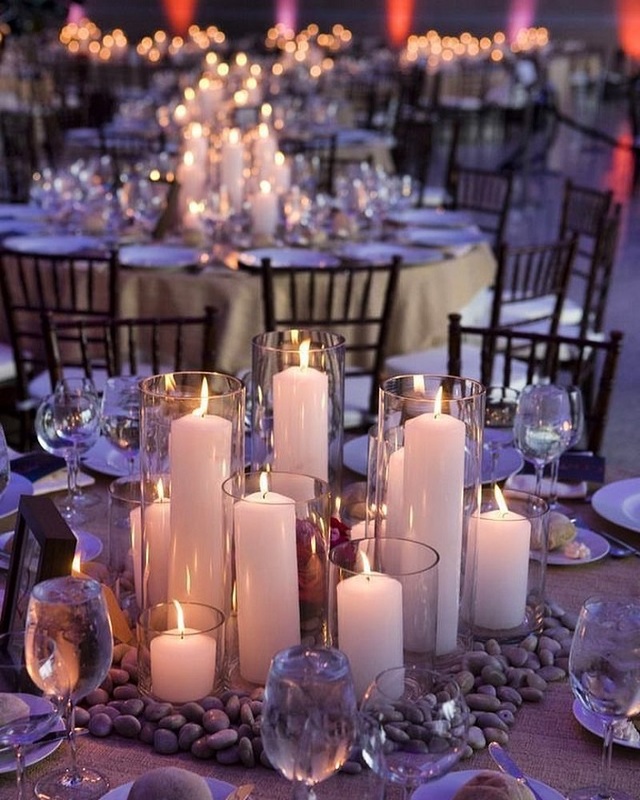 Here’s another very simple, yet so beautiful example of a wedding centerpiece. It really doesn’t need to be something unseen yet, or glamorous or even expensive. It can be something so simple, but that has the power of creating such a warm atmosphere. Get a vase with a pretty flowers, surround it with candles and books and voila – you got yourself a charming wedding centerpiece. Sometimes the flowers themselves can be the best detail on your wedding. This includes them being part of your wedding centerpieces as well. 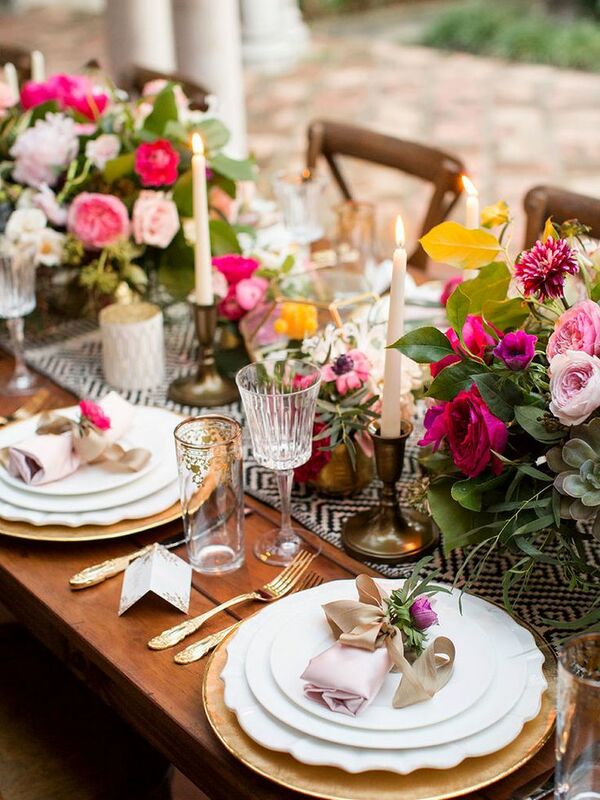 Also, you can use the flowers to add a pop of color – just take a look at how these gorgeous pink flowers are making a whole difference on the table? They’re so irresistible and it’s simply impossible not to admire them everytime you look at them! If you decide to go for white details, then making your centerpiece a part of the theme is going to fit well. Get your favorite white flowers, no matter which you choose, and place them in beautiful vases. Add petals around them and if you feel like adding some light here, you can always go for candles. This is very simple to arrange and can also be budget-friendly, depending on the flowers you choose. Fall is just around the corner, so all of you who adore this season and want to make it part of your big day, then there are plenty of fall-inspired decoration ideas to consider. Most of them will also give those rustic vibes. 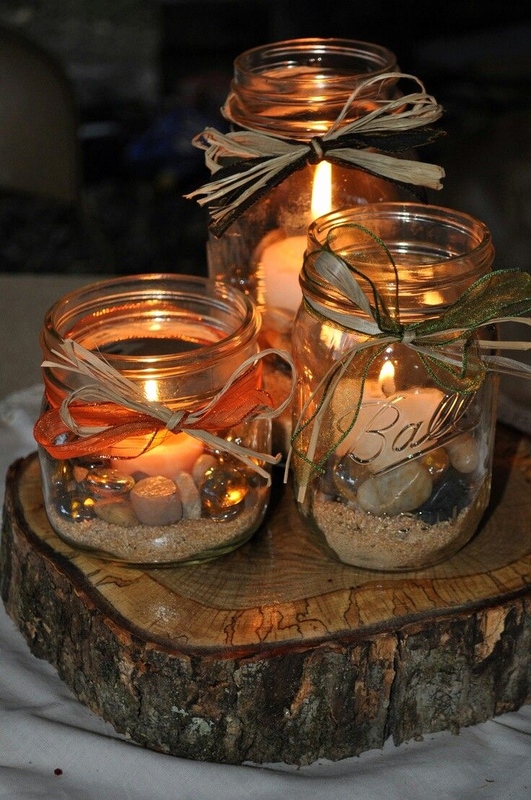 Make sure to include a wood detail in your centerpiece and for the rest of the details you can consider using small jars and fill them with whatever reminds you of fall. Greenery would look perfect here!